FV-1 based digital multieffects platform with onboard USB EEPROM programmer. 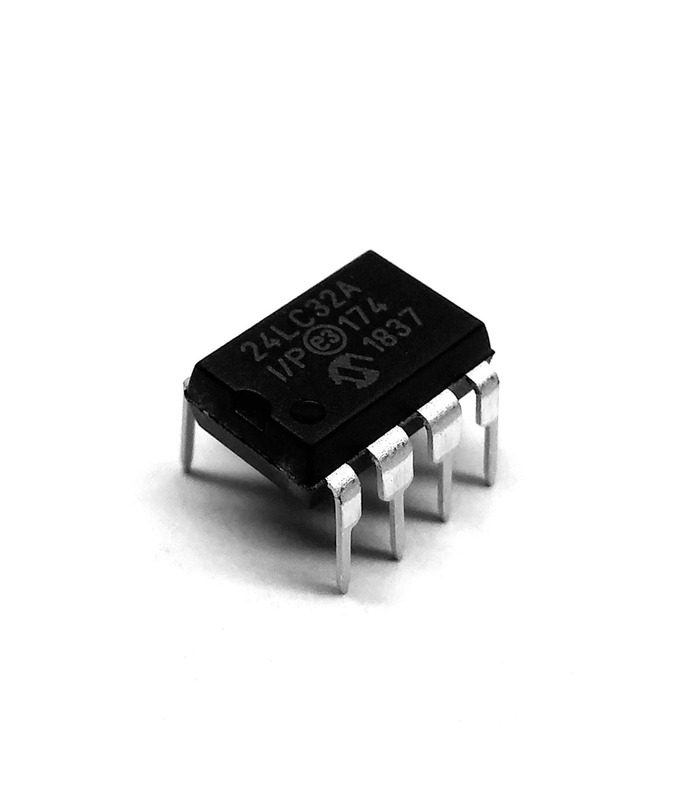 Three digital control parameters, analog dry signal path with wet/dry mix, and adjustable output volume. 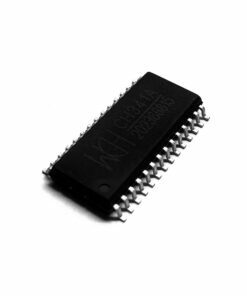 Moderate – Some SMD soldering is required as well as the use of command-line utilities to flash / convert EEPROM data. It’s not rocket surgery, but also not an absolute beginners project. The FV1Dev has been tested on Microsoft Windows 10 (1803), Apple macOS Sierra, Apple macOS Mojave, and Ubuntu 18.04.1 LTS. 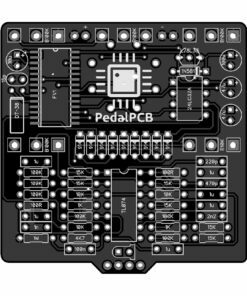 Other versions may work, but have not been tested by PedalPCB. 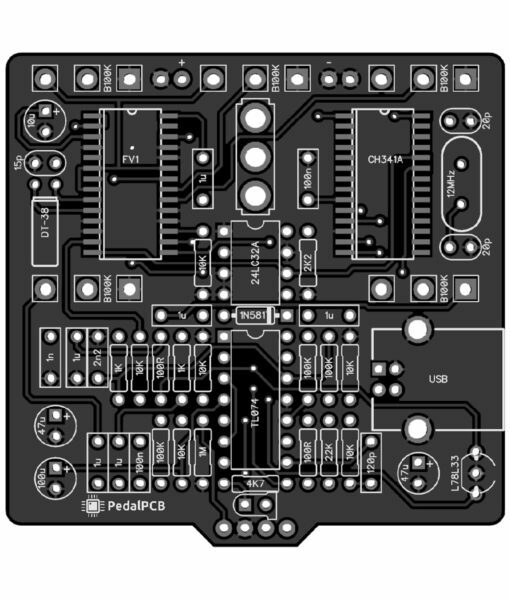 The FV1Dev is a DIY development board. It has been tested for full functionality on the operating systems listed above but due to the nature of the product no guarantees or warranties are implied. Links to software are provided for convenience only. 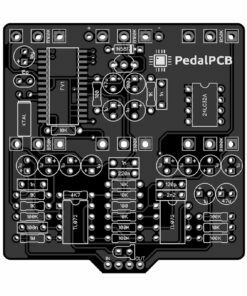 PedalPCB LLC will not be liable for any damage caused through use, be it indirect, special, incidental or consequential damages (including but not limited to damages for loss of business, loss of profits, interruption or the like).